On Tuesday, January 23rd manslaughter charges were dropped against Antonio Tepaz. 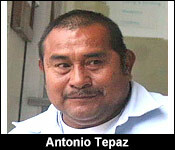 Tepaz was prosecuted for the death of 33-year-old Cesar Scott in a boat accident that occurred on November 15, 2009, in which he was allegedly the captain. Tepaz’s attorney, Ellis Arnold submitted to the prosecution that the eight witnesses didn’t provide sufficient evidence to prove that he was the driver of the boat in which Scott died. Justice Adolphus Lucas heard the case and determined that he was not guilty. 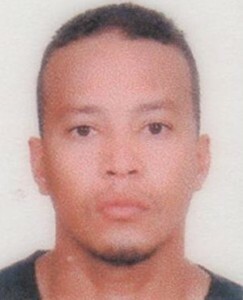 On Sunday, November 15, 2009, a boat collision between the vessel “Tio John", belonging to Coastal Xpress Water Ferry and the boat, "Right Now", belonging to the Sueno Del Mar Resort, claimed the life of Scott, a front desk clerk, who was employed at Sueño del Mar Resort on northern Ambergris Caye. The San Pedro Police responded to the boat accident just before 7PM, at an area approximately three miles north of San Pedro Town. Initial investigations revealed that the vessel belonging to Coastal Xpress and captained at the time by Luis Alberto Paz was heading north with six passengers and an assistant boat captain. According to Sergeant Reyes, Paz reported that while on the route, he suddenly noticed a boat in front of him. He further alleged to the police that he turned to his right to avoid the collision but the other vessel, belonging to Sueno del Mar, also turned right and that is when the collision occurred. The vessel, belonging to Sueño del Mar was allegedly captained by Tepaz, and his co-worker Scott was a passenger. As a result of the collision, Scott received severe head and body injuries and reportedly died upon impact. 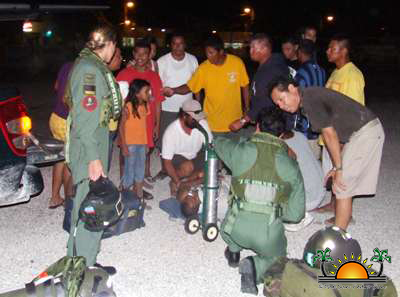 Tepaz received internal injuries, a broken ankle, and injuries to his head. He was airlifted to the Karl Heusner Memorial Hospital for medical treatment. The only injured person onboard the Coastal Xpress boat was 43-year old Lynn Tonny, an American National who was given medical treatment on the island and then released. According to Sergeant Reyes, blood samples were taken from both captains to ascertain if alcohol was a cause of the accident. Their investigations pointed out two main things, speeding and lack of lights. 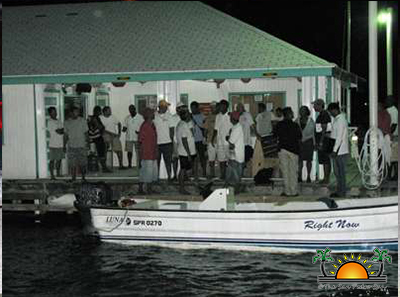 However, the General Manager of Coastal Xpress, Darrell Williams, alleged that the lack of lights on Sueno Del Mar’s vessel was the cause of the accident. “My captain said that he didn't see the boat at all, only at the point of collision, at the very last moment. It didn't have no running lights or there didn't appear to be any running lights on the boat,” he said. William further stated that it couldn’t have been the speed of his vessel either, as the captain had just departed from a dock. The General Manager of Sueño del Mar at the time, Kevin Myers, would not go into details of the investigation, but denied allegations that his boat had no lights and explained that his boat had the proper equipment to operate at sea. Also, the alleged driver of the Sueno Del Mar vessel, Tepaz, stated that his boat had the lights on. “I had on the lights of the boat. That was an accident, nobody has the fault,” he said. The case was unresolved from November 2009 until now when Tepaz has been cleared from all charges regarding Scott’s death.